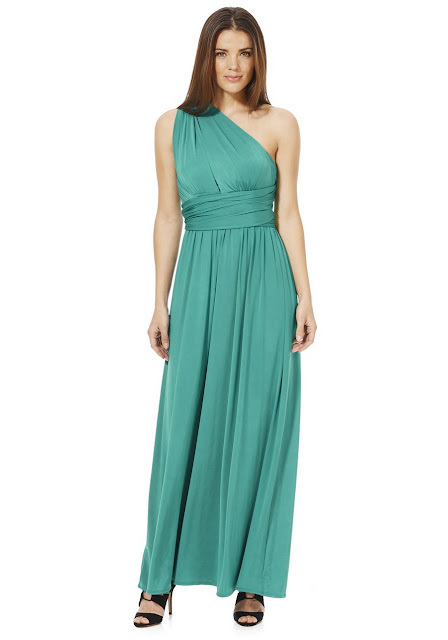 Looking for a bridesmaid dress? Go to the supermarket! It is no secret that supermarkets are a great place to find current fashion pieces at a bargain price. Tesco, Sainsbury's and Asda have huge collections in store and online. The Florence and Fred range at Tesco has a diverse line of occasion dresses in an array of colours and styles. Here are a select few of my favourites in lovely shades of green and lilac. There are some excellent savings to be had at the moment - check out their range online. This 3D floral prom dress is a real beauty which is available in both mint, and pale pink. I love the sheer panel and the pretty 3D applique flowers! If you are looking to save a few pennies then this option is an absolute steal at it's sale price of only £30 (reduced from £60). This embroidered mesh prom dress is a gorgeous design that would fit in well with a vintage wedding theme. 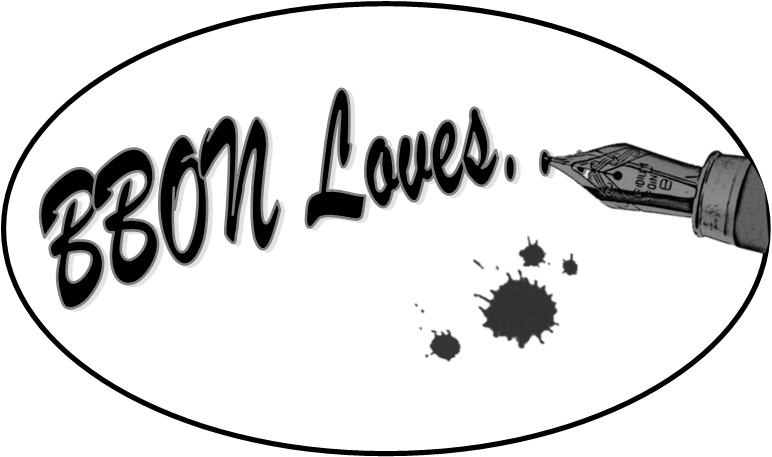 I adore the two tone effect created with the mesh overlay. 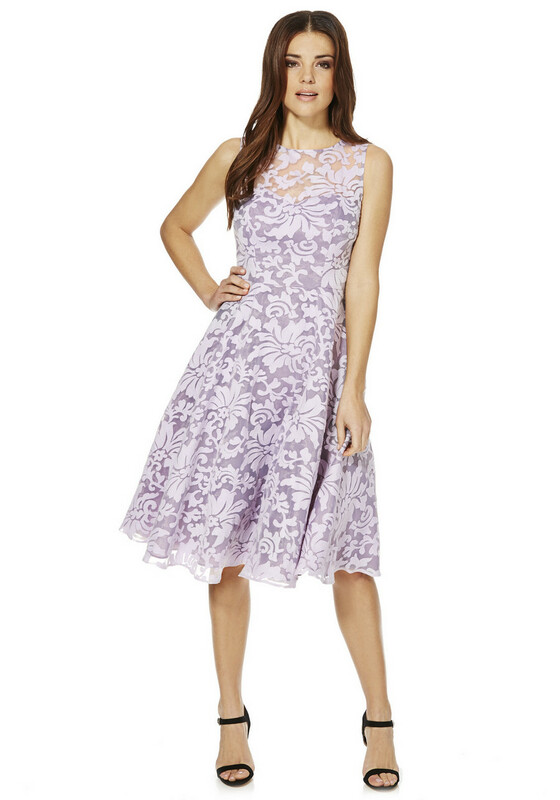 I would mix things up and wear this lilac dress with some colourful court shoes for a real 50's feel. This dress retails at £50. Multiway dresses are a popular choice amongst many brides. Florence and Fred have a small palette of colour available in this range but my favourite has to be this rich teal colour. A multiway is a great way to individualise the dress to your bridesmaids shapes and taste. This dress retails at £50. 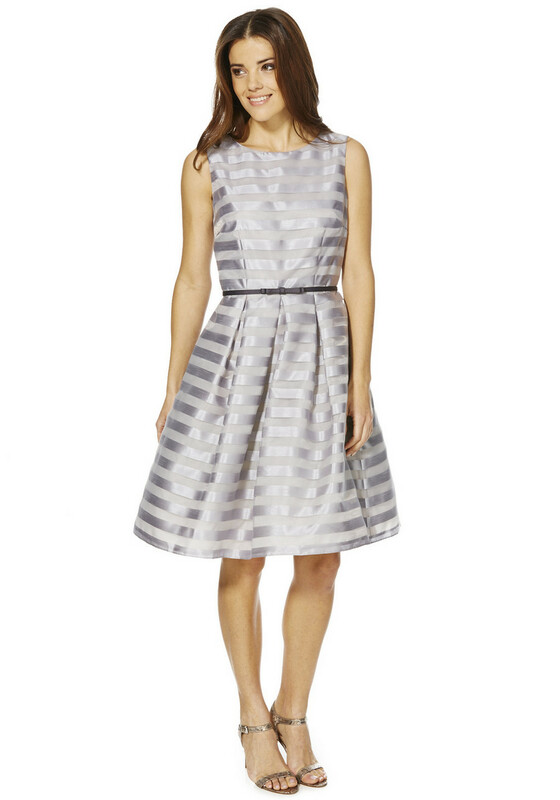 This organza stripe prom dress can also be found on the sale rack for a great value price of £30 (originally £45). If you have been looking for a dupe for the Coast Liv stripe dress for your maids then this is a great option. This dress is also available in dusky pink. My final favourite from Florence and Fred is this pretty sparkle mesh maxi dress. 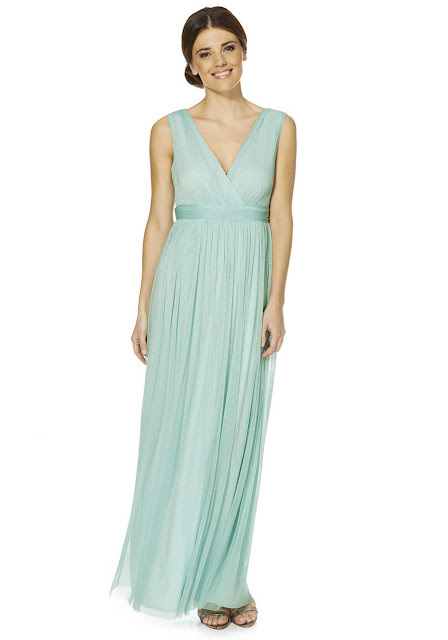 This stunning full length gown is available in this summery mint colour and a more sultry midnight blue. I think that this glittery number is simple but chic and the lightweight fabric is comfortable in the warmer summer months or for maids taking part in destination weddings abroad. This dress retails at £50. It is not only your bridesmaids dresses that you can pick up walking down your supermarket aisle! Florence and Fred also stock accessories such as shoes, bag and pretty shawls not to mention some great suits for the male members of your wedding party.